Free udemy course.......... The digital manufacturing process is changing the design and manufacturing process and how teams work together. Integrated design and manufacturing systems and collaboration tools are transforming the future of making. In this course, you apply the digital manufacturing process and Autodesk® Fusion 360™ CAD/CAM software, to design a Co2 dragster for competition. Whether you enrolled in this course as a team manager, marketing manager or involved in the design, engineering and manufacturing of a dragster, you will develop the skills needed to be innovative, productive and efficient. This course is designed to be used by individuals on the team to better understand how the tools in Fusion 360 can be used for their role or by anyone interested in understanding the entire process. This course consists of seven sections that include lectures and hands-on exercises using Fusion 360 and Autodesk® CFD. Each lesson includes comprehensive lecture presentations and project exercises that include step-by-step video instruction, project resources and datasets, and a final course assessment. 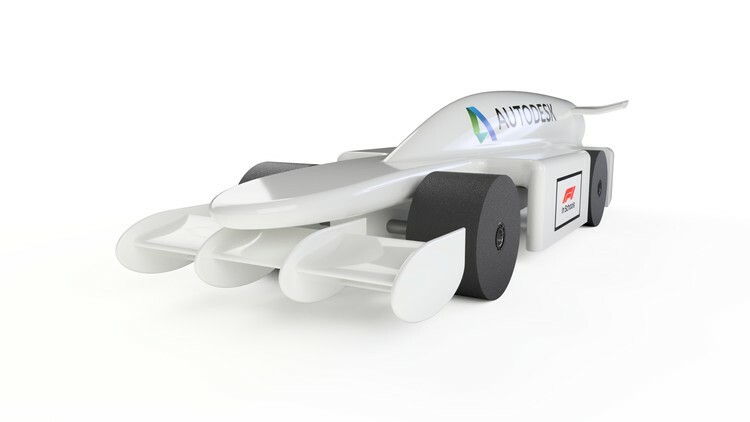 At the beginning of the course, we’ll focus on the Fusion 360 tools that allow for collaboration and data management across team members involved in the design and production of a F1 in Schools competition. Once you’ve been introduced to Fusion 360 collaboration and data management tools, we learn what to do with imported or bad geometry. Fusion 360 can be used to edit a model using direct modeling tools to better prepare a file. Included in this lesson is a Design Toolkit offering additional tips on how to customize your car using Fusion 360. Finally, we’ll learn how to produce the prototype or final production model requires the ability to program additive and subtractive machine tools with the geometry of the design. With the direct connection of the CAD and CAM tools built into Fusion 360, design innovation ideas can be explored without having to start the programming from scratch. You’ll also learn how to market and fundraise for your team and materials. At the end of the course, you’ll take a course assessment that demonstrates your expertise and shows you where you might need more practice. The skills in this course will help you apply design and engineering concepts and practice real-world scenarios that you may encounter in the design process. Beginners interested in design, racing, or both!